The name first appeared in Bromeletter 53(1): 13. 2015 admittedly as ‘Mauii’ but investigations failed to find anyone responsible for the naming even though the plant seems to be widespread in Australia especially NSW. 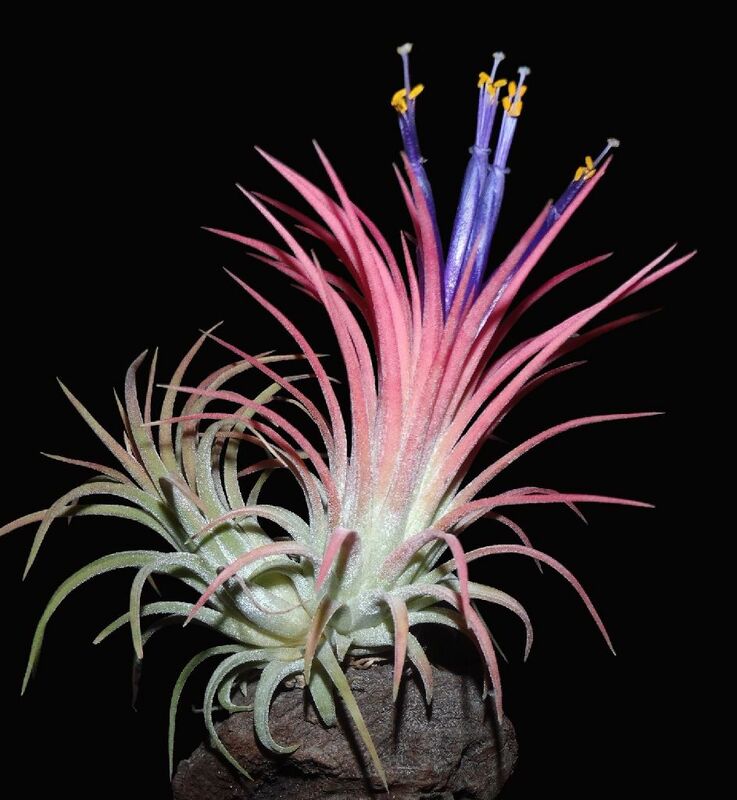 The best option seems to be in the Pinegrove nursery records with links to a T. ionantha imported from Bob Okasaki in Hawaii in 1985. One of the Hawaiian Islands is called ‘Maui’! The plant is 7.5 – 10 cm high, 7-9 cm wide. Registered by Derek Butcher Jan 2015"